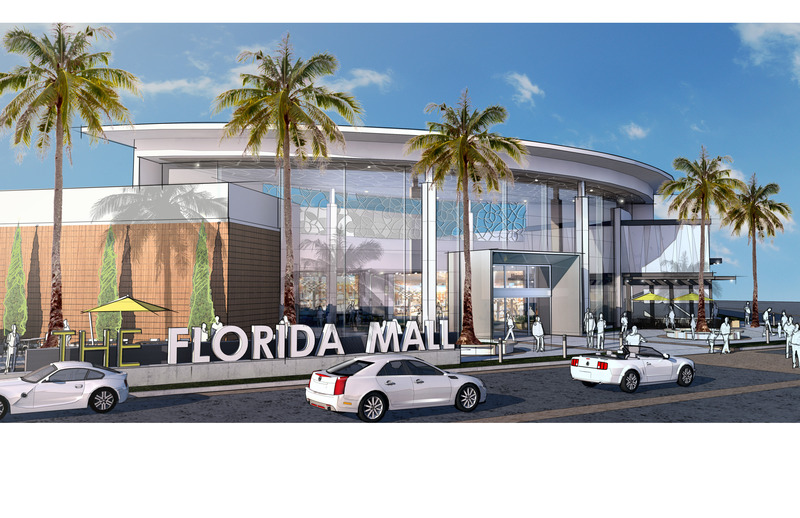 Plans to expand the food and retail offerings have been announced for the Florida Mall, with a complete redesign of the entrance. The new food pavilion will create an expanded dining experience focused on comfort and convenience and will be relocated into a portion of the former Saks building facing the Sand Lake Road side of Florida Mall. The food pavilion will feature 16 eateries, including several healthy fare options and new-to-market dining choices. The new design doubles the available seating and will feature indoor and outdoor dining options. “The new food pavilion and retail area will be unlike anything in the market,” said Brian Hanson, general manager of Florida Mall. “The design of the space will create a true gathering place for shoppers and area office workers alike.” Hanson added that the existing food space would continue to serve customers until the new food pavilion opens, which is expected to be in spring 2015. A total of 105,000 square feet will be repurposed to include the new food pavilion, additional mini-anchors, small shops and restaurants. There will also be a new major entrance to the mall to accommodate better customer flow into both the mall and food pavilion. The current food area will ultimately be repositioned for new retail space. The highly-anticipated American Girl store, the first and only location in Orlando, will open later this fall. They need a movie theater in there.